The Neighborhood Stabilization Program (NSP) was established to stabilize communities that have suffered from foreclosure and abandonment. It provides assistance to cities, counties and housing non-profit organizations to acquire and redevelop foreclosed properties that might otherwise become sources of blight within their communities. NSP-1 was authorized under Title III of the Housing and Economic Recovery Act of 2008. The United States Department of Housing and Urban Development (HUD) administers NSP funds. 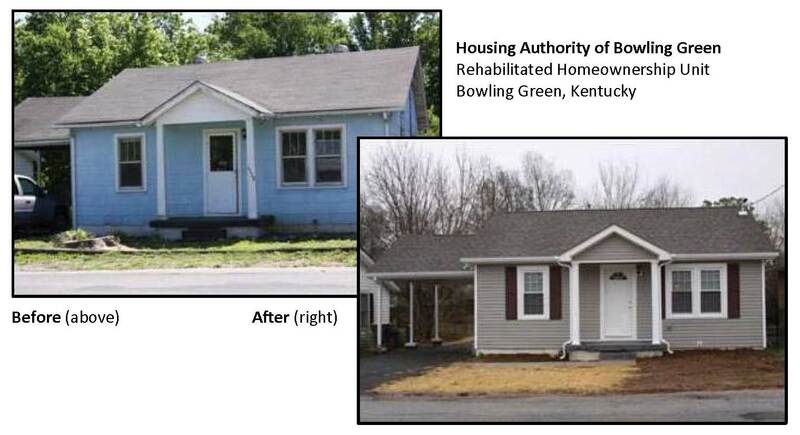 Kentucky's allocation of $37.4 million was awarded to 22 cities, counties and non-profit housing agencies. NSP funds were used to purchase foreclosed or abandoned properties, which were then rehabilitated, resold or redeveloped in order to stabilize neighborhoods and stem the decline of property values of neighboring homes. NSP-3 funds are the third round of NSP grants that HUD made available to all states and select units of local government. NSP-3 funds are authorized under the Dodd-Frank Wall Street Reform and Consumer Protection Act (Dodd-Frank Act) of 2010. HUD has allocated NSP-3 funds on a formula basis where all states, including Kentucky, received a minimum allotment of $5 million of NSP-3 funds. HUD is requiring that these funds be targeted to communities with the most severe neighborhood problems associated with the foreclosure crisis. Kentucky was able to fund six projects with NSP-3. To download the CODEX for GoToMeeting, please click here. NSP funds cannot be used to prevent foreclosure. If you are a struggling homeowner, contact the Kentucky Homeownership Protection Center at www.ProtectMyKYHome.org or call (866) 830-7868.